Well I decided to go with the advice of the majority on here and buy some new feeders (thinking the ones in the freezer may have been too old > 6 mos). Since the majority of online feeder stores were closed for the holidays, I picked up two small f/t rats from petsmart which are a little larger then the weaned rats I've been using. My BPs nose perked up when I offered but he hesitated to strike. It was only when I gradually started to pull the prey away that he followed me outside of the enclosure and focused his attention to where the tongs were holding the tail. It's almost like he needed to see the rats body attached to a tail before he struck. Regardless, it worked and he struck and immediately tried to pull it back into his hide. I left the room with the rats body hanging out of the hide. I'll check on him tomorrow. If all is good, I'll go ahead and order some more; making sure to individually seal each one to retain it's freshness. First feeding in well over two months!!!!!! Been a busy bee over the holidays. I date my rodents when they arrive vacuum sealed and when I open the seal and bag them in “freezer” ziplock bags. My rule of thumb is 1 to 1 1/2 years max vacuum sealed and no more than 6 months ziplocked. Medium rats come in ten packs and between Behira and Shayna they last about 2-3 months max in ziplock. The other 4 snakes eat similar sizes or more often so I rarely waste much. I also feed off mouse pinkies as an occasional treat to Frank, the Blue tongue skink. Either way, not surprised a “picky” BP had issues with older rats. 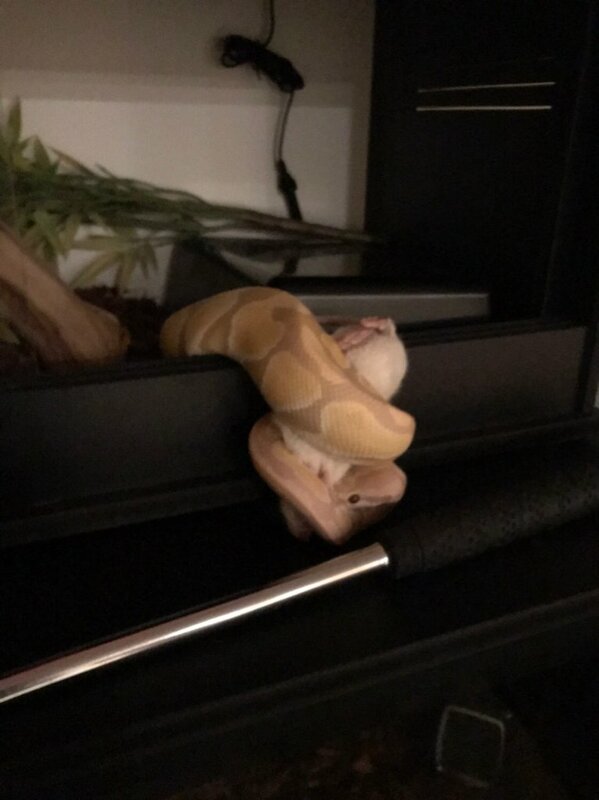 Boas and colubrids don’t seem to care as much, but I still limit to 6 months max. Frankly, it wouldn’t shock me, if Shayna, my food snob/picky BP, asked for grey poupon with her rat! Last edited by dakski; 12-26-2018 at 11:03 PM. Too funny but actually true when you think about how many factors come into play with some of these finicky BPs when feeding. Good tips on sorting out the prey when it's delivered. I'm definitely going to go this route. I'm lucky enough that I can buy small and medium rats locally at good prices so I only really buy a months worth of rats at a time. But, when I was buying bulk shipments I typically zaccum sealed them in groups of 4, which was a month worth of meals for one snake. I’m both speechless and ecstatic now. My extremely picky male BP nailed his 1st small f/t rat two weeks ago after a long two month drought. I decided to trade in some ‘old’ rats for some PetSmart rats which did the trick. I was hesitant to push my luck and try again tonight and he nailed the rat again!!! Keep this up and he might finally put on some weight. 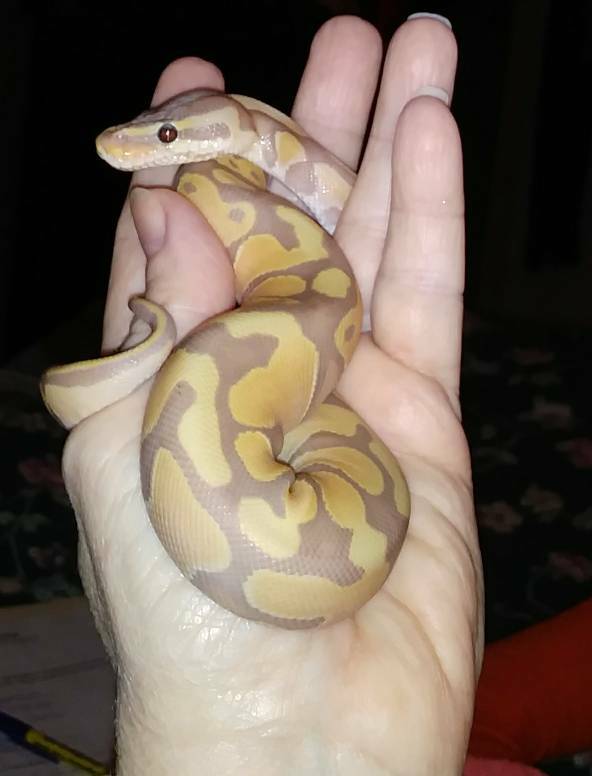 Is he a banana glow? No, he’s a Toffino (or Candino). Shows what I know. Lol! Stunning animal! I’m far from an expert but they look almost identical to me.